In the late twenties Miró questioned paint as a medium and began to search for new vehicles of expression. Later, while working on his paintings on masonite, he grew aware of certain poetic qualities inherent in the material and sensed their aesthetic potential. 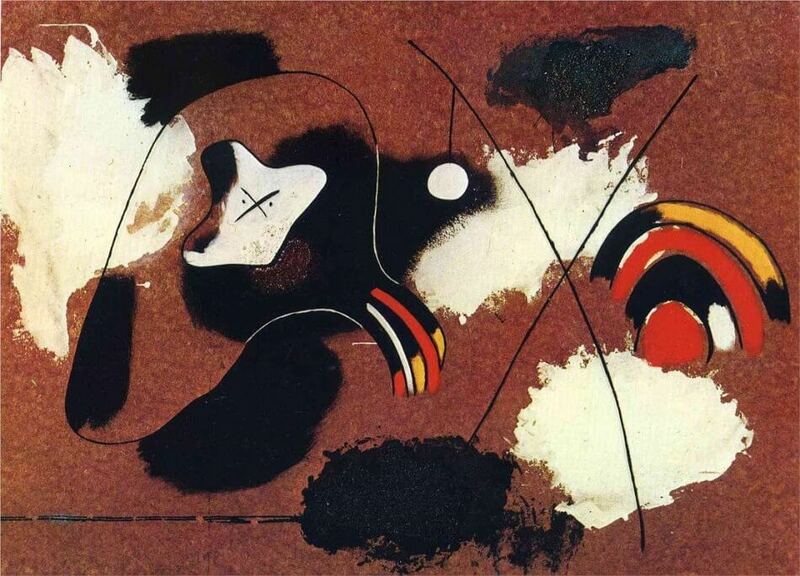 Miró was in pursuit of the interpenetration of materials, which often appears imposed by force. The contrast of the materials (casein, black shoe polish, tar and sand, in addition to oil colours) and the rough support of the "masonite" express the violence of the execution.